Renowned metal label Season of Mist have setup shop on Bandcamp! The bands have individual pages, each featuring their Season of Mist discography. Among the 44 bands available now, we find symphonic death metal giants Septicflesh from Greece, and their three albums from the Season of Mist catalog: Sumerian Daemons, Communion, and The Great Mass from 2011. The Great Mass is a fully orchestrated death metal album, with the orchestral elements perfectly integrated into the metallic fabric. 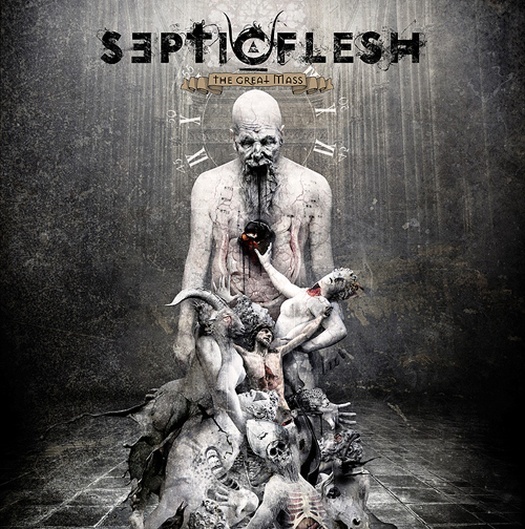 This is not a new or groundbreaking approach, but Septicflesh perfectly balances the Prague Philharmonic Orchestra, a full choir, powerful death vocals, brooding clean singing, brutal riffing, and songs that switch from blazing speed to crawling slowness in an instant. Impressive. Here are reviews from Angry Metal Guy and From the Dust Returned.